Watering is the immediate need of all newly planted trees and shrubs. 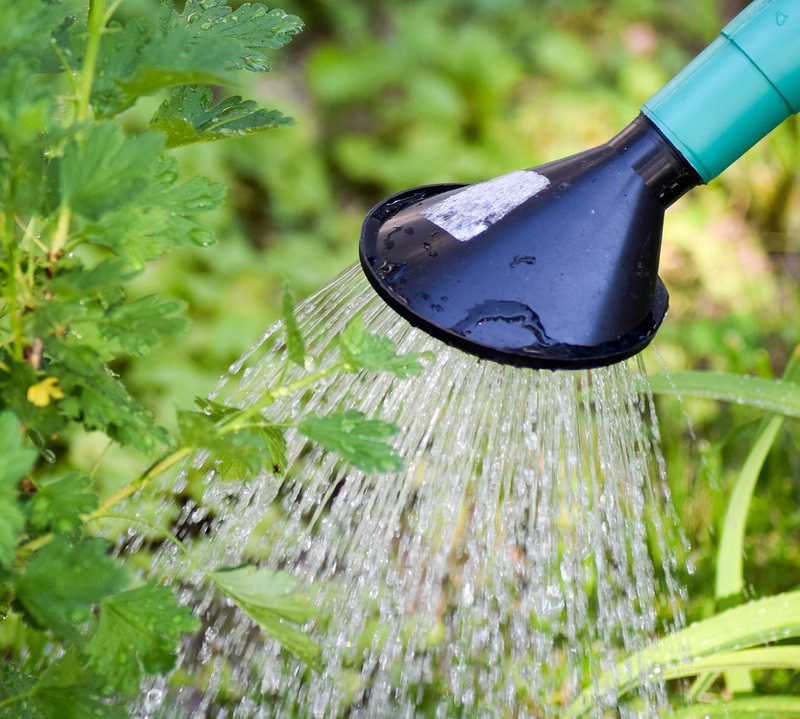 If planted in March or April, be sure to water once a week from the time of planting. Continue this weekly watering all summer until the ground freezes in the fall except during any week when a good soaking rain (one inch) occurs. If planting during the warmer months (May thru August) water more often for the first two or three weeks. After this period of frequent watering go onto the weekly schedule. For late summer and fall plantings a weekly watering until freeze-up time should be enough. If it is quite dry, water more often for the first week or two. Do not use a hose nozzle (we like a water breaker which allows full volume but reduces the pressure.) 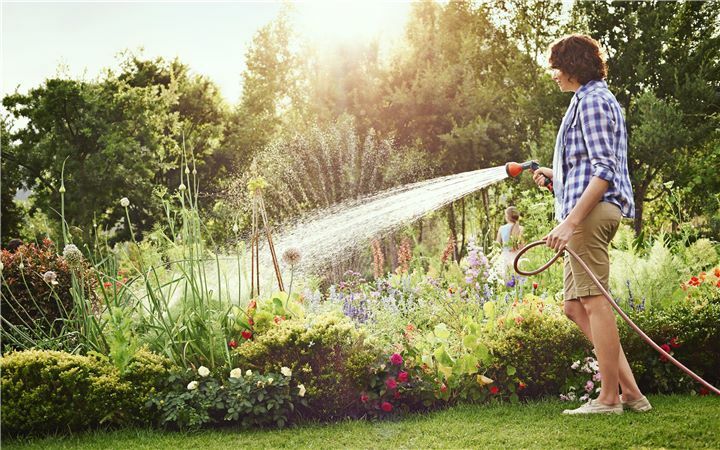 Run the garden hose at a trickle when watering or use a bucket so that each plant gets a thorough deep watering. Mulches on the ground around plantings will help keep the soil most. Use UP-START liquid fertilizer MNA LIQUID FEED with your first watering for root stimulation. Thereafter, use PLANT-O-GANIC in Spring and Fall for the best plant growth. If you do not plant a newly purchased shrub or tree right away, keep it moist while out of the ground. The key to success is starting a lawn from seed is proper watering. The soil should never be allowed to dry out until germination takes place! Apply water as a gentle mist like spray three to five times a day after seeding. Water only enough each time to darken the soil. Do not allow “puddles” to form. The time of year, temperature, the soil type and wind conditions all vary and will determine how often watering will be needed. If you cannot be home all day for a two or three week period after sowing the seed, plan to use a straw or salt hay mulch to prevent drying. Scatter thinly so that at least half of the soil shows. The idea is to shade the soil to keep it moist between waterings. As the seed starts to sprout, decrease the frequency of watering but increase the amount. At your first mowing (which will be as soon as the grass is three inches high) you will be watering once every five to seven days at the rate of one inch a week. At about the time of the second or third mowing apply at one half rate feeding of Turf-O-Ganic. 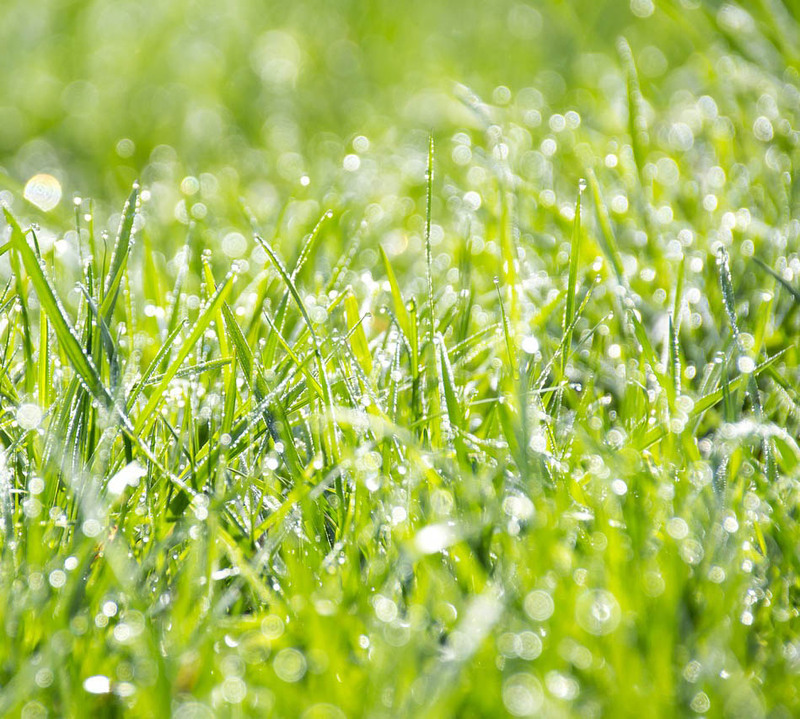 Feed with Turf-O-Ganic three or four times a year to develop the thickest greenest lawn. 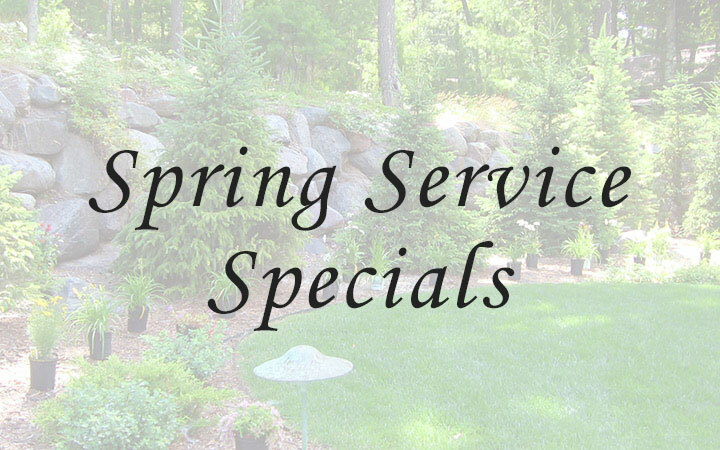 Please note that Barcellos & Kane also provides complete fertilization programs to maintain your new lawns, as well as programs for trees and shrubs. Barcellos and Kane has the equipment and staff to handle any size landscape project, irrigation installation, or property management needs that you may have.